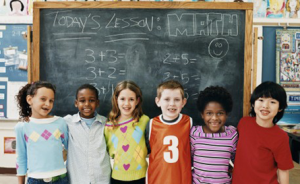 SEATTLE – The League of Education Voters Foundation (LEVF) will propose major reforms to Washington’s public education system at the Basic Education Finance Task Force meeting Tuesday, June 10. LEVF’s proposal, A Way Forward, is the culmination of a yearlong effort to develop a new education finance model that prepares all students for college and the workforce. “We based A Way Forward on one simple premise: we need a public education system that will prepare all students to succeed in today’s competitive economy,” Macfarlane said. 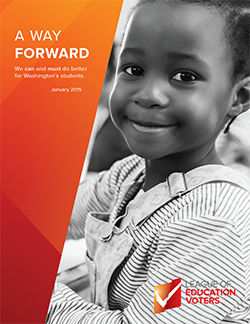 A Way Forward proposes a series of reforms and investments to achieve results and boost student achievement. LEVF will present A Way Forward to the Basic Education Finance Task Force in Olympia on Tuesday, June 10 at 9 AM in House Hearing Room B, O’Brien Building. The League of Education Voters Foundation is a 501(c)3 charitable organization dedicated to engaging ordinary citizens, educators, policymakers and the media in the effort to provide a quality education for all students in Washington State from early learning through post-secondary education.